From tomorrow onwards, we will be present at the British Birdfair. 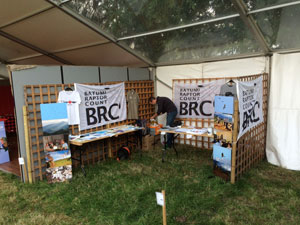 This year, the birdfair organisers kindly offered us a free stall, to promote our conservation work. You can find us in Markee 6 stall 5. The purpose is to familiarise people with our project, promote birdwatching around Batumi and attract visitors and volunteers. Next weekend, you can find us at the Dutch Birdfair as well.